Both on and off the rails, a visit to this region offers the chance to relax amidst surroundings ranging from seashore to high volcanic terrain. Animals, birds, butterflies, busy leaf cutter ants and more vie for your attention. 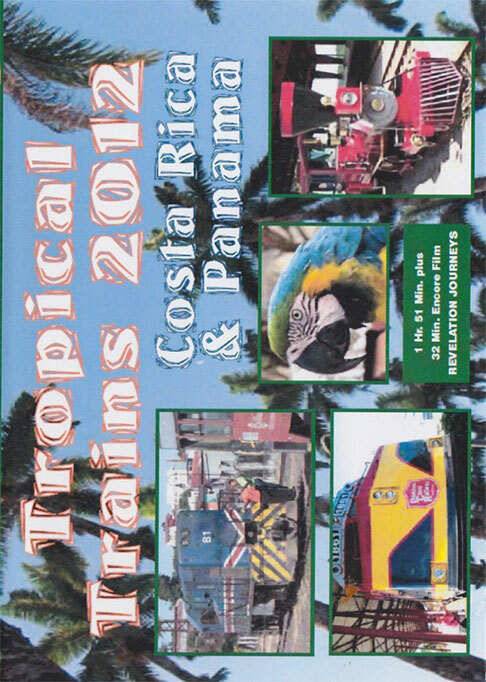 As to man-made wonders, these is the Panama Canal, viewed in full transit from "Pacific Queen", and train rides ranging from a fast jaunt alongside the Canal, to the semi-jungle of the Caribbean, and the urban maze of San Jose. Behold a dazzling seaside sunrise. About 10 minutes from Revelation Journey's 2010 tour we included for the sake of contrast. 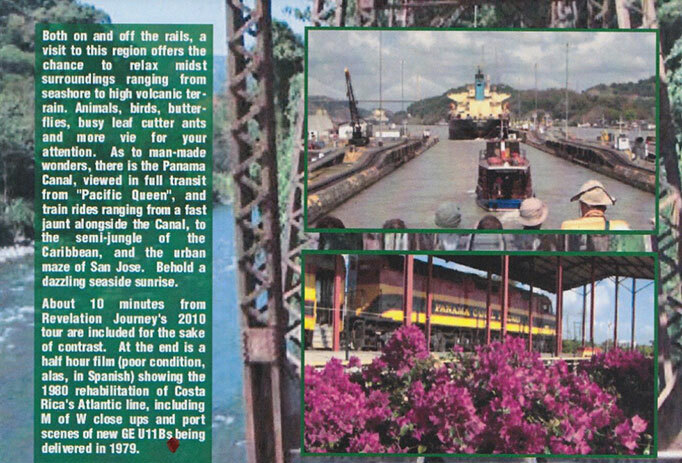 At the end is a half hour film (poor condition, alas, in Spanish) showing the 1980 rehabilitation of Costa Rica's Atlantic line, including M of W close ups and port scenes of new GE U11Bs being delivered in 1979.